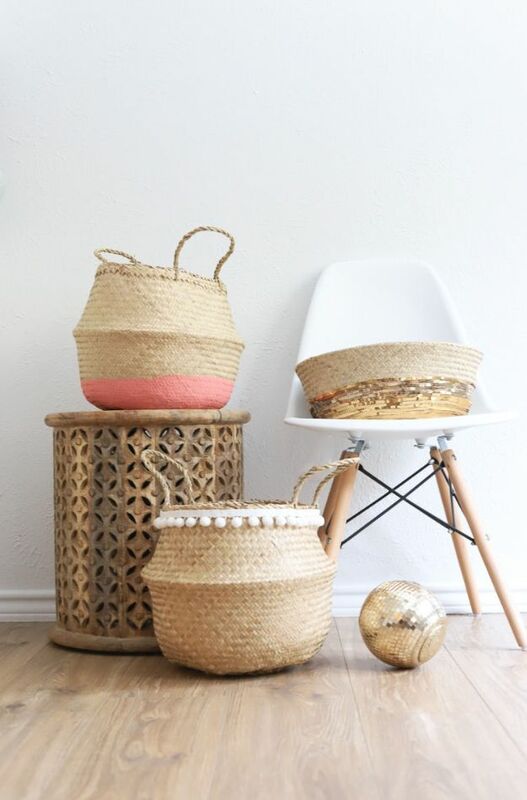 Baskets are one of my favorite organizing ideas, but having lots of them around requires some thought, since they are a ve3ry noticeable part of my decor. 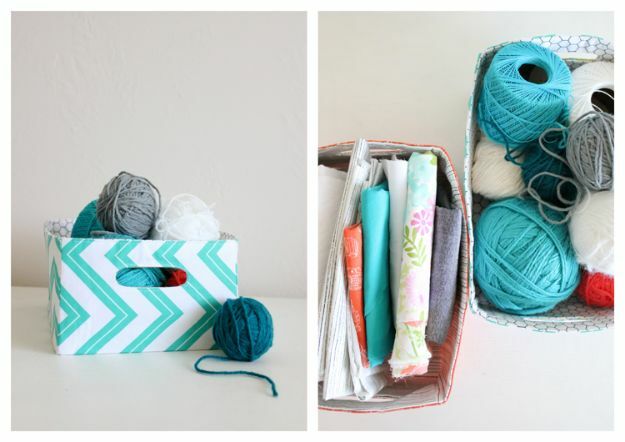 When I first started using baskets to store all sorts of things, I picked up a lot from IKEA. 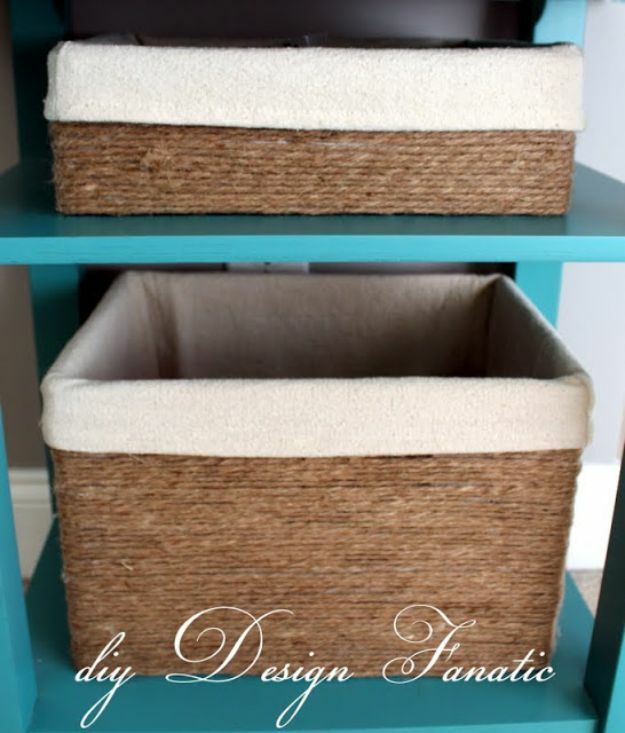 They worked great as a solution, but I quickly tired of seeing the same old boring baskets all over the house, especially those that were displayed in some way. 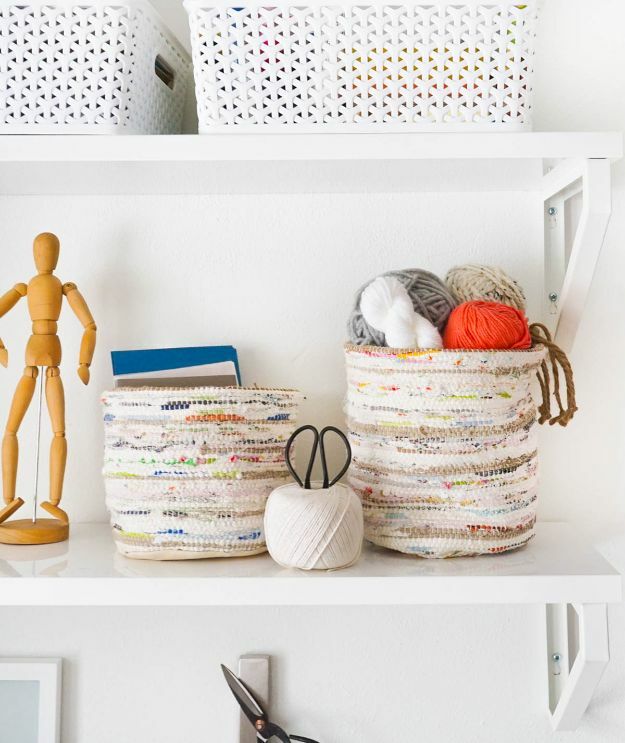 Make your own creative baskets and add some flair to your storage solutions. 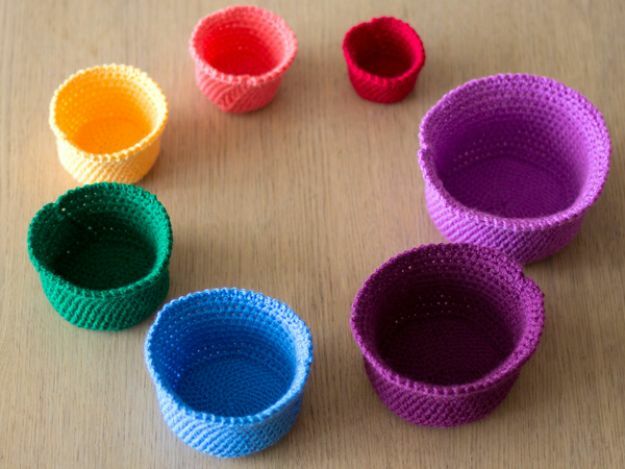 Try these 35 DIY baskets, complete with step by step tutorials. 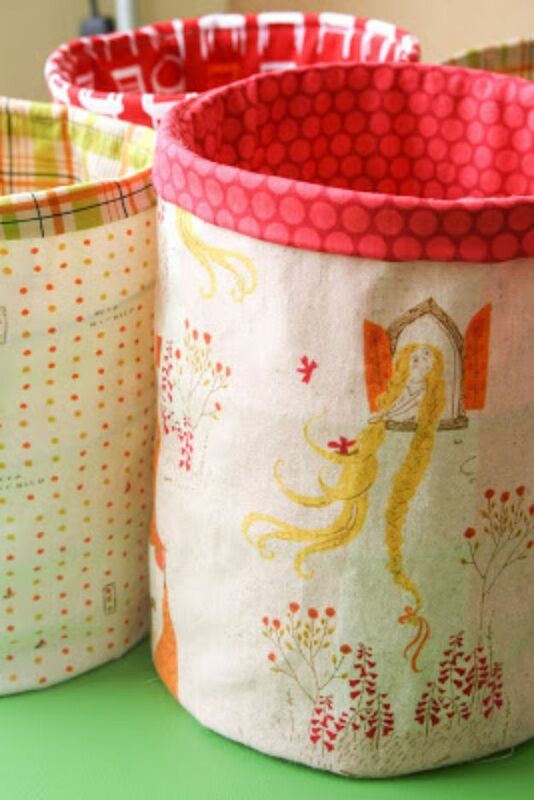 These are fun crafts to make, too, so grab some friends or even the kids and make a few of these crafty storage baskets. 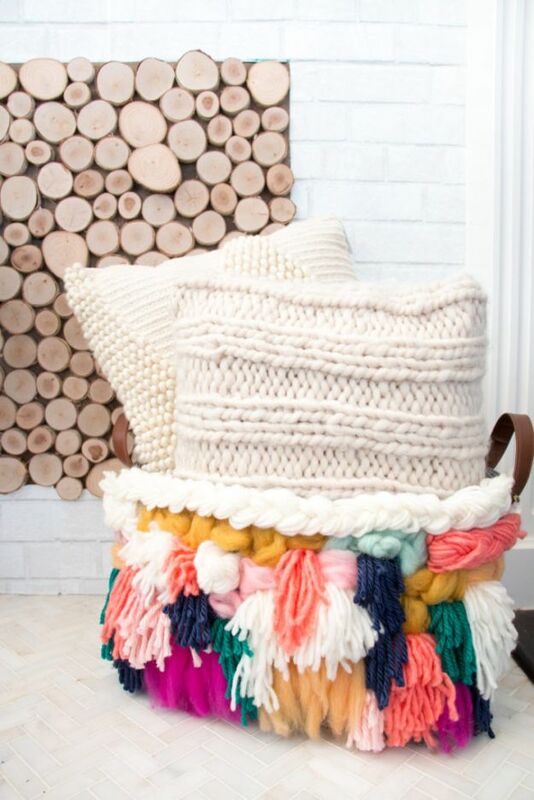 Looking at how these rag rugs turned out, my inner organization junkie is so thrilled! 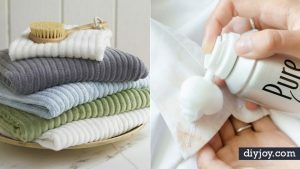 Sugar and Cloth sure have a way of turning simple things to something fancy. 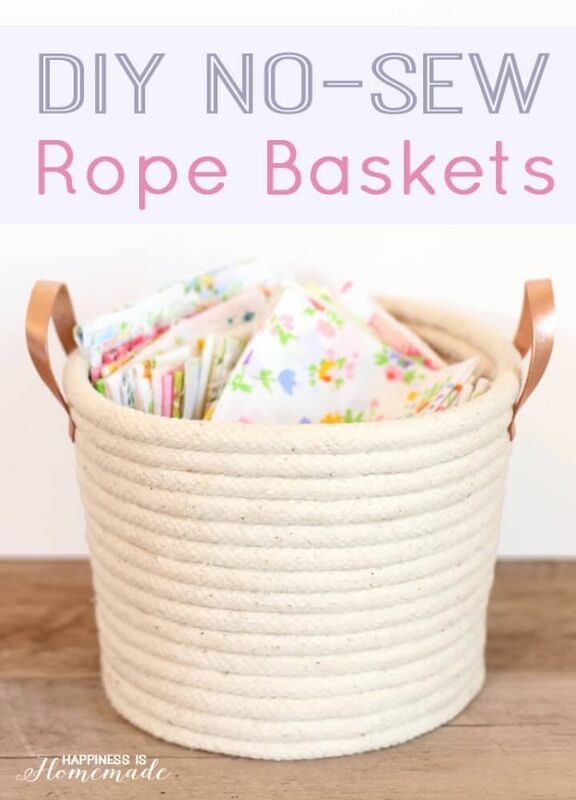 Read their tutorial on how to make these pretty, yet oh-so-functional DIY rag rug storage baskets and you’d be surprised how easy it is done. 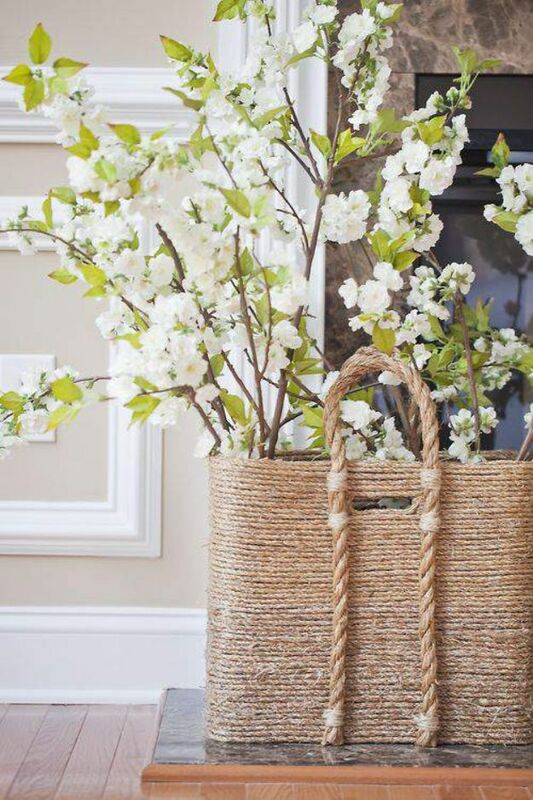 What I love about beachcomber baskets is that they can double as a pretty decor. The basket itself is roomy and so versatile but I just don’t have enough cash to burn in Pottery Barn. 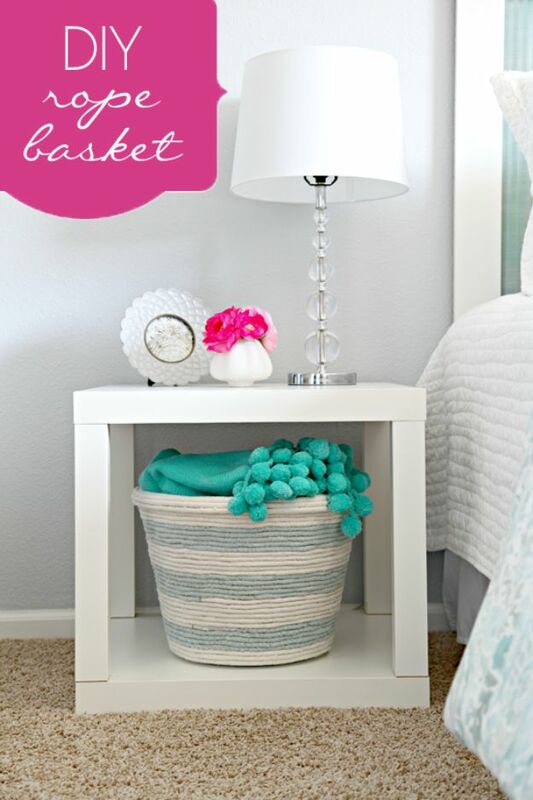 So, this tutorial is perfect if you want a Pottery Barn inspired beachcomber basket. 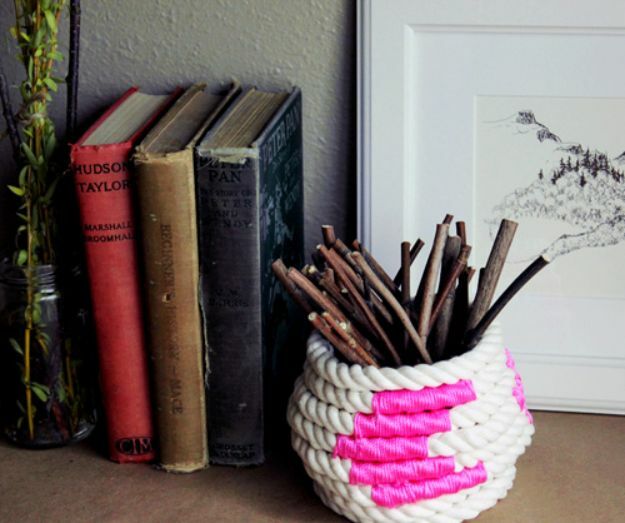 All you need is a container, glue gun and glue sticks and some sisal rope. 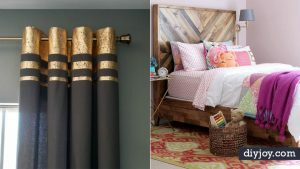 A small roll of jute can also come in handy to perfect the look for only a fraction of the PB cost. 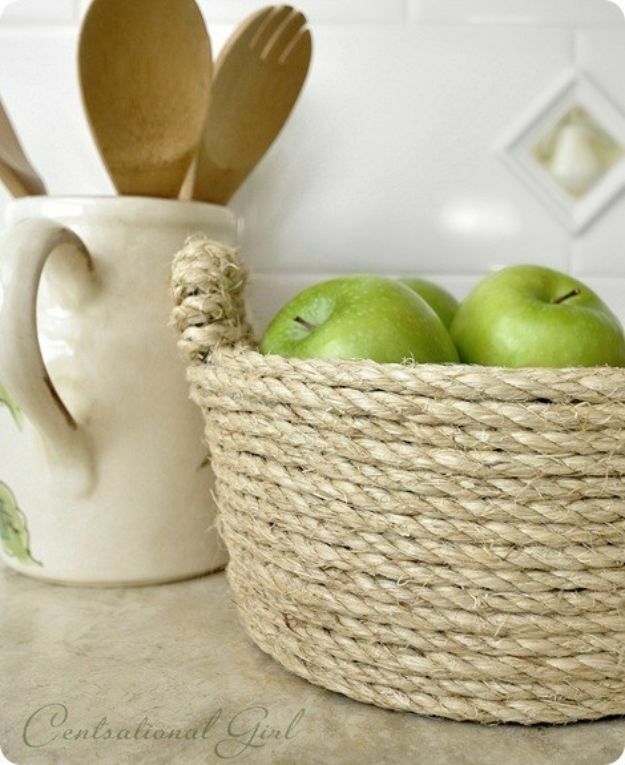 Don’t you just love the color and texture of this basket? It might look super complicated but I can assure you, it doesn’t take as much time as the real weaving. 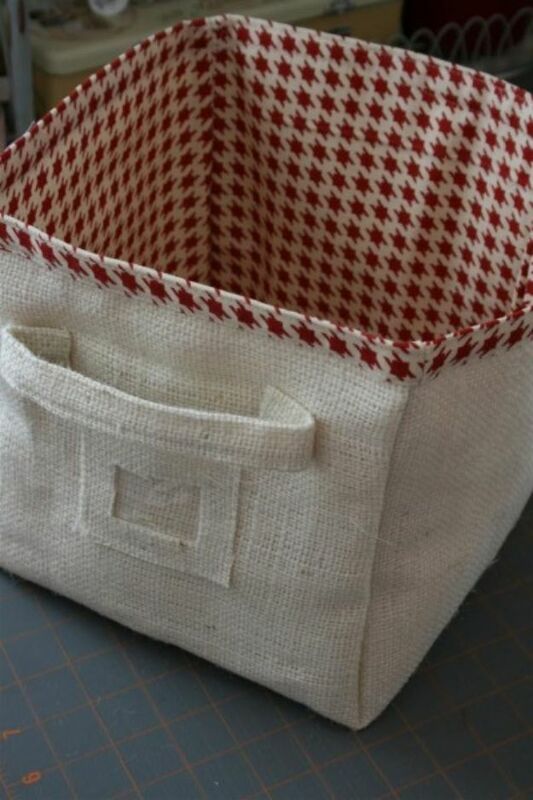 A Kailo Chic Life has you covered on the step-by-step instructions for this lovely storage basket. 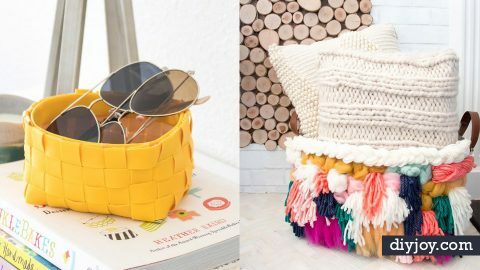 I wouldn’t mind storing my pillows in this fun and chic basket. Perfect addition to my bedroom too! 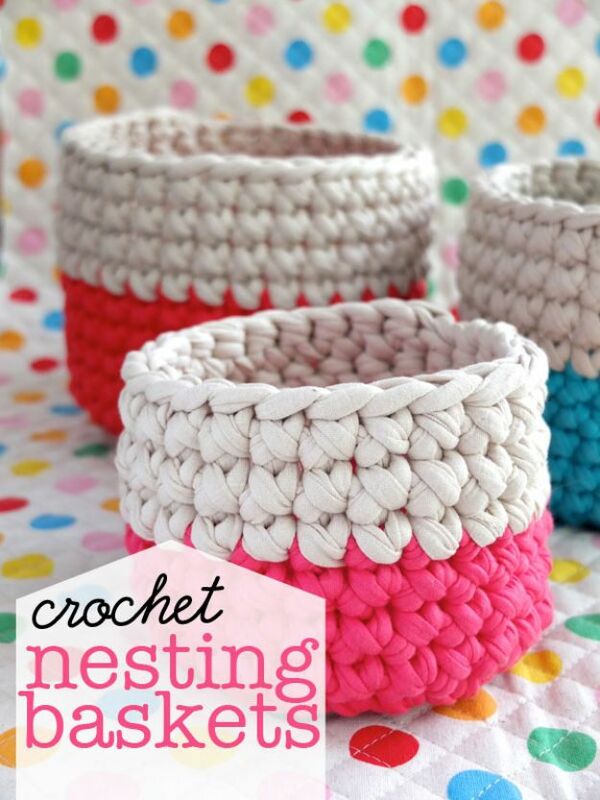 Get your craft on because it’s time to create something cute and functional. 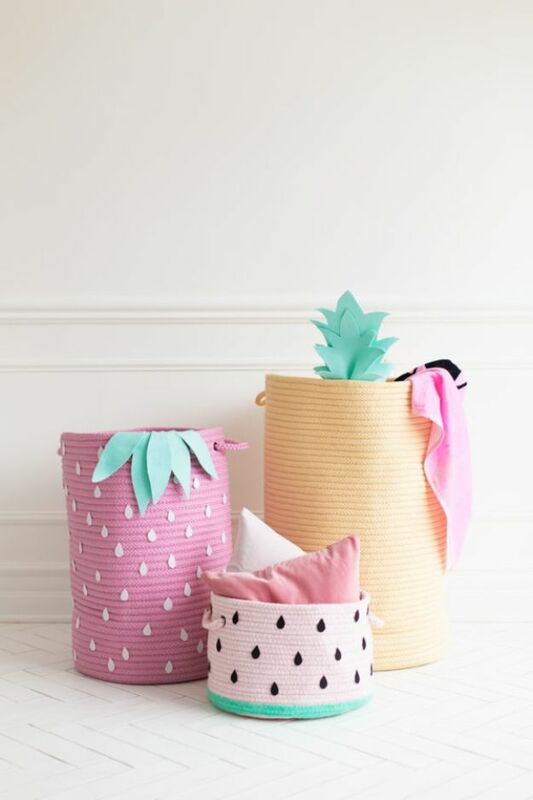 This fruit inspired storage basket will surely provide inspiration to get crafty especially in the summer. 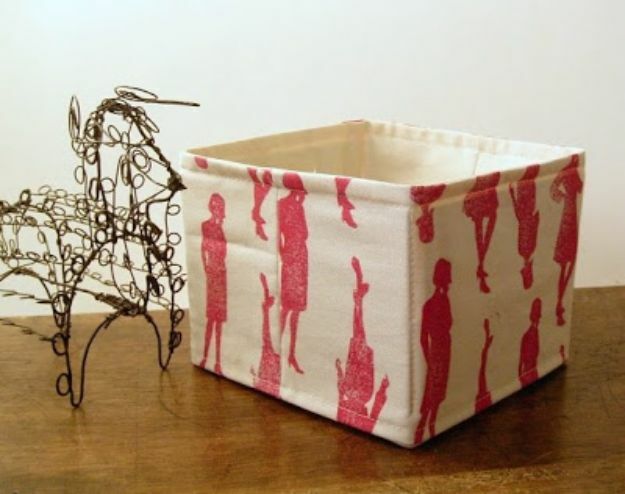 Your teenage kids can have tons of fun creating this brilliant piece and adding them in their room. 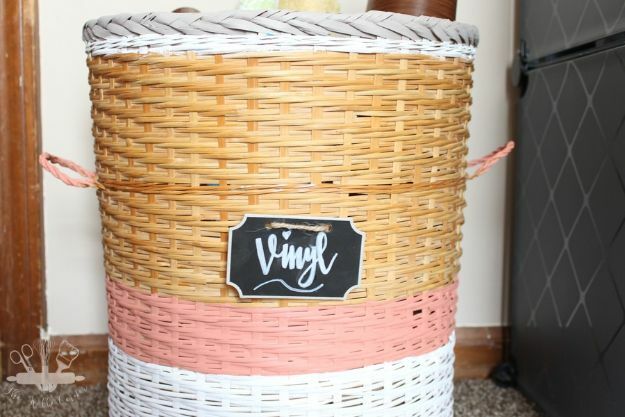 If you are like me, just walking in the door throwing keys and stuff in the table, this basket would be a perfect solution for you and me. 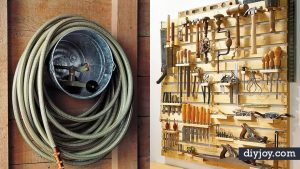 And let’s admit, it’s a pretty way to store the mess. 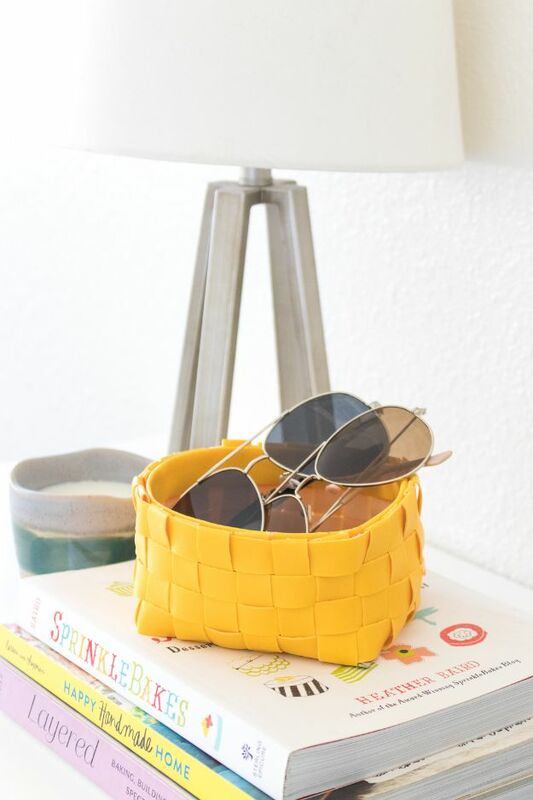 It’s my most favorite in the list because I love the color yellow and the faux leather is such a classy material for a basket. 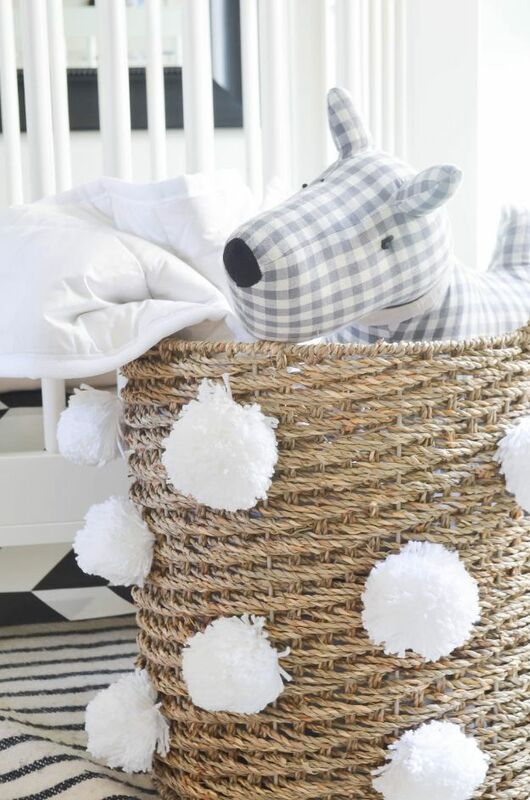 Spice up a regular storage basket by adding some pom poms. 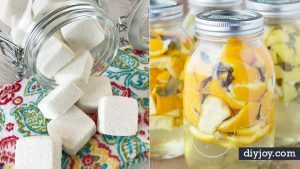 It’s super simple and easy to make! 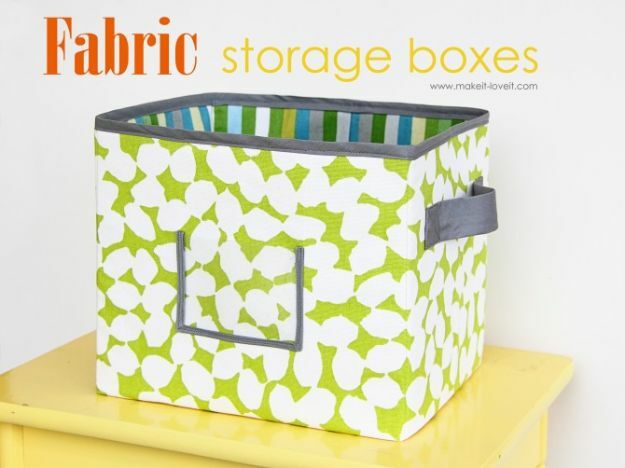 This storage bin would be a perfect addition to any kid’s room. 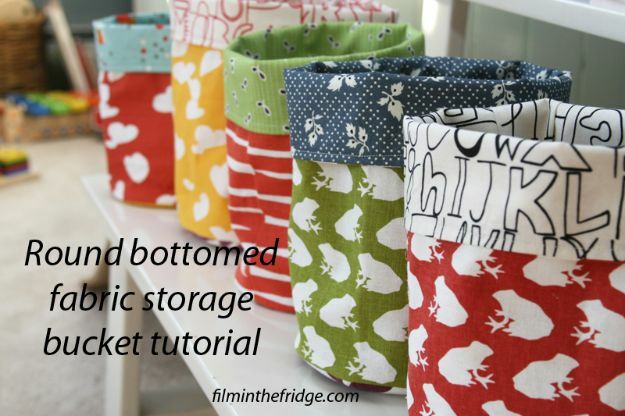 It can be used to store toys, blankets and little sweaters. And the best part? 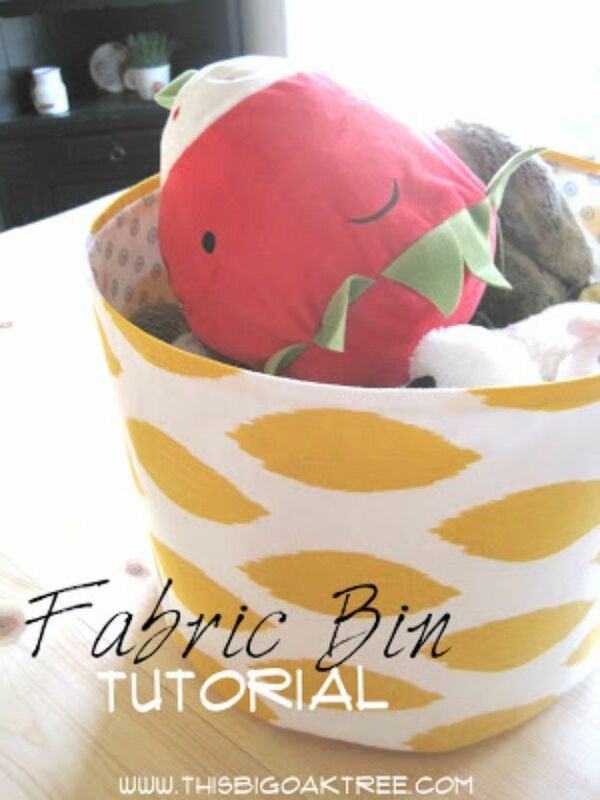 No sewing, no glue and would only require four items. 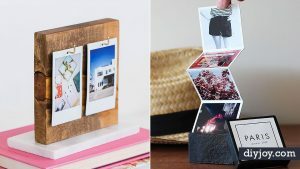 So even if you are not the crafty type, you will not fail in this DIY project. 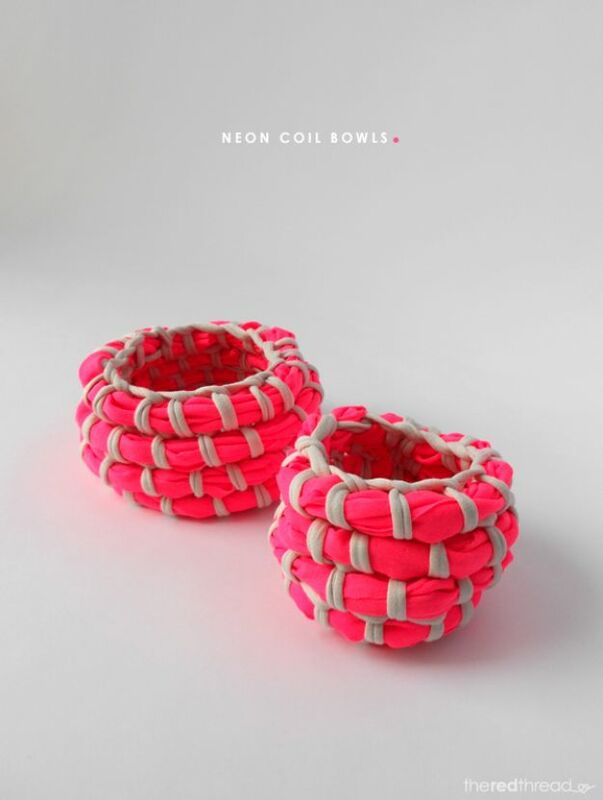 Now, this little basket looks so adorable! 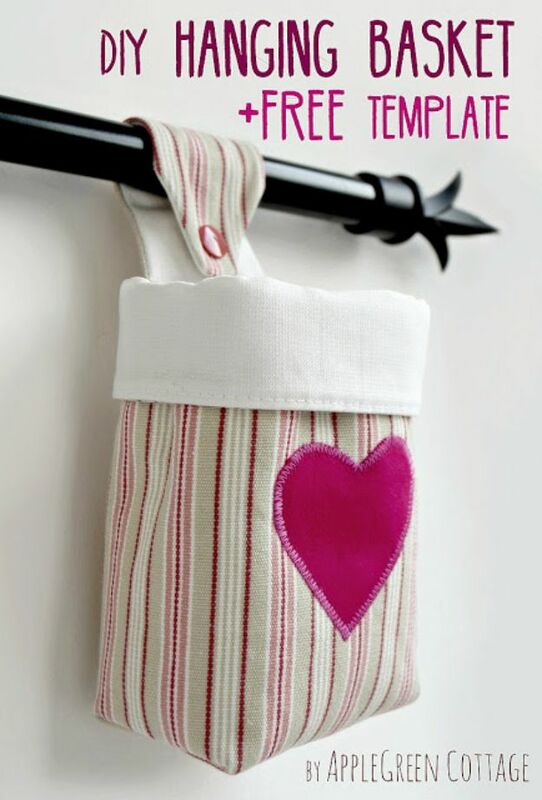 I love the stripy fabric and the faux leather handle. I think this would really look great on display in my craft room. 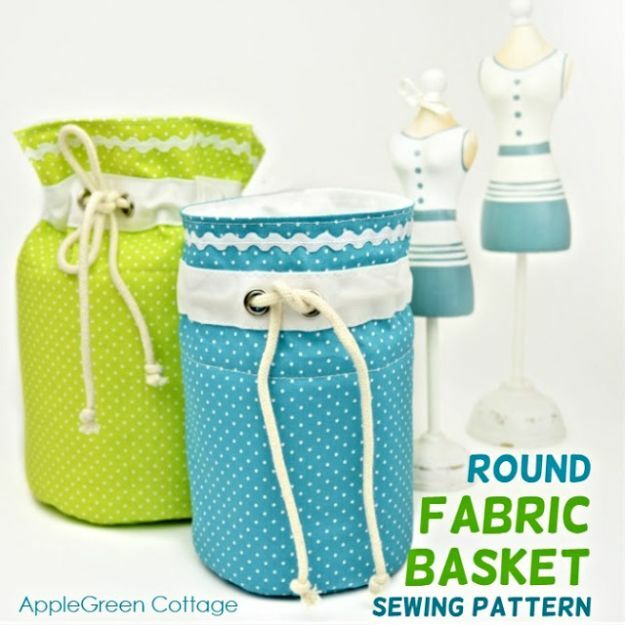 I am looking forward to making this and store my craft supplies. 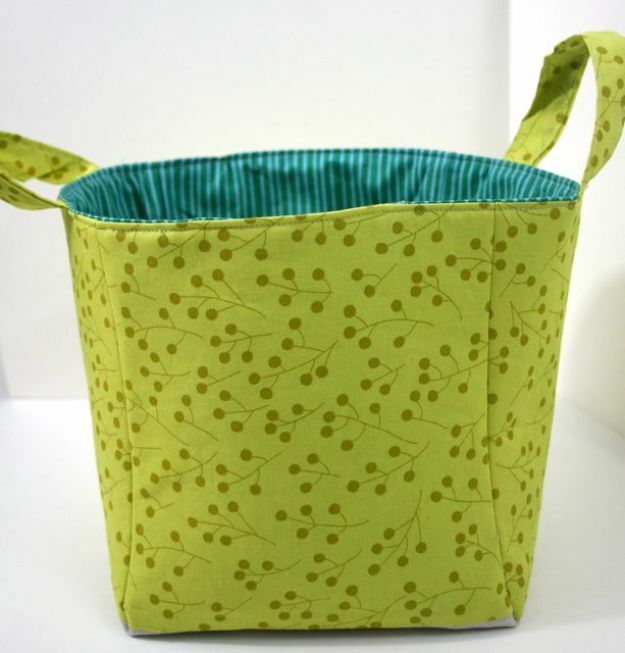 As it is, it is very pretty as a storage solution but I bet it can make as a great gift too! 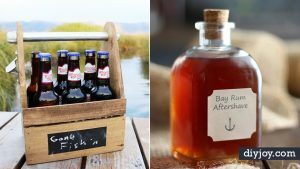 Looking for an awesome baby shower or house warming gift? 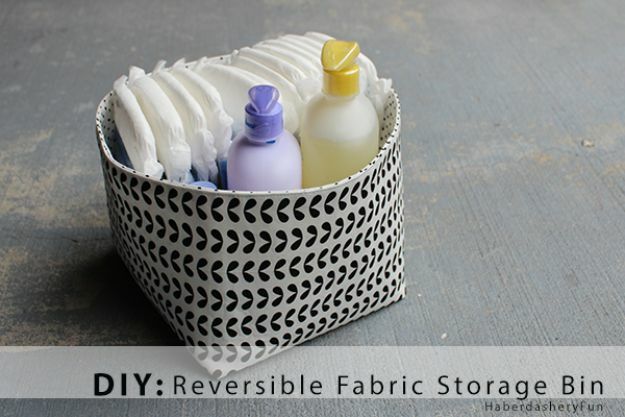 You can fill up this reversible fabric storage bin with some goodies and you are good to go. 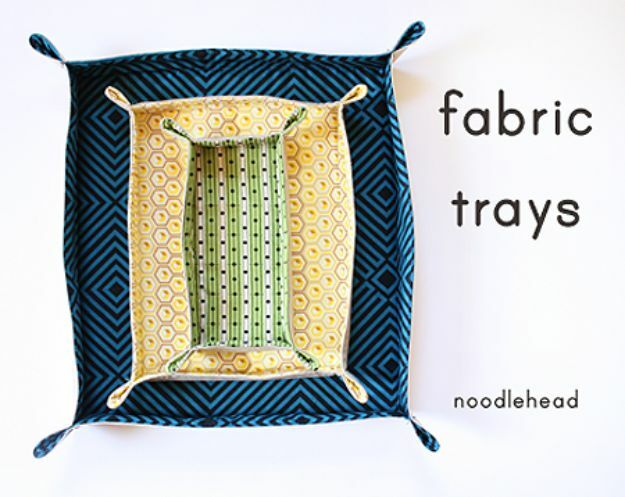 Haberdashery Fun provides a very simple tutorial in creating them and you just need to adjust the sizes if you want a larger version. 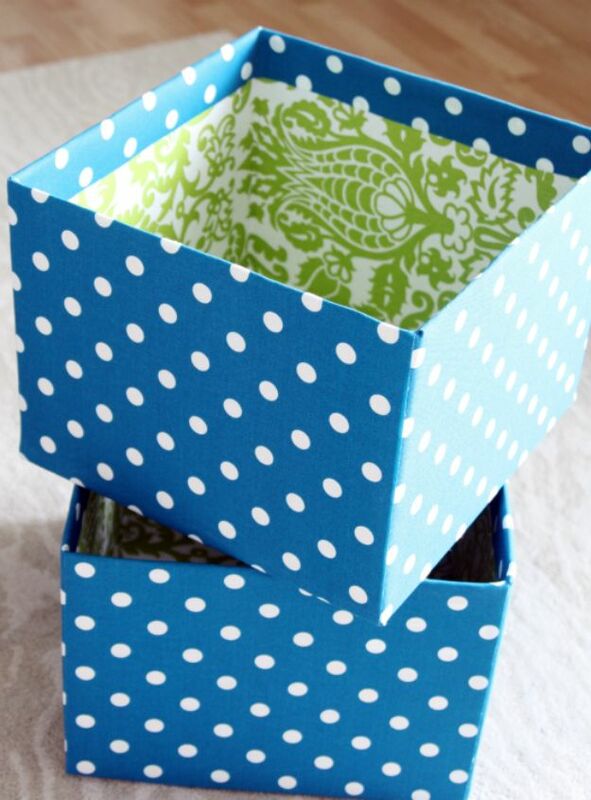 I am definitely putting this on my list of things-to-do for the summer, but a smaller version. 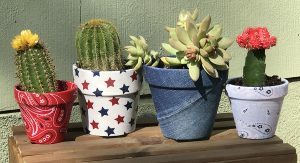 I just love the fact that the basket if from a dollar store and with some spark of genius, a pretty basket and storage solution came out of it. It’s so cute and the texture is just so lovely. 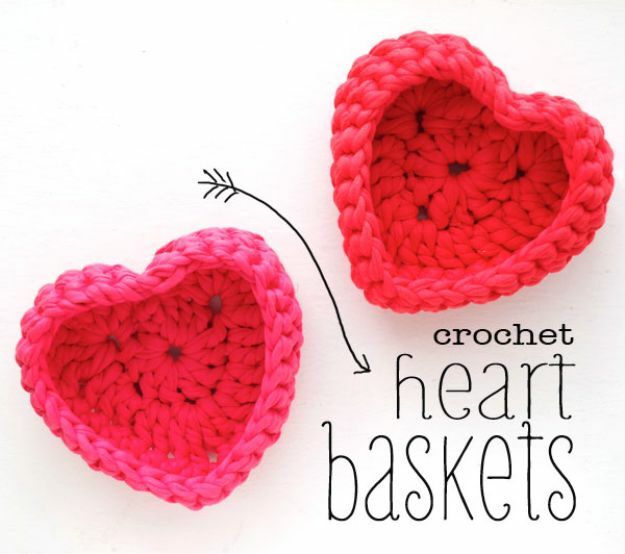 I am totally inspired by the sheer ingenuity they have in I Heart Organizing. 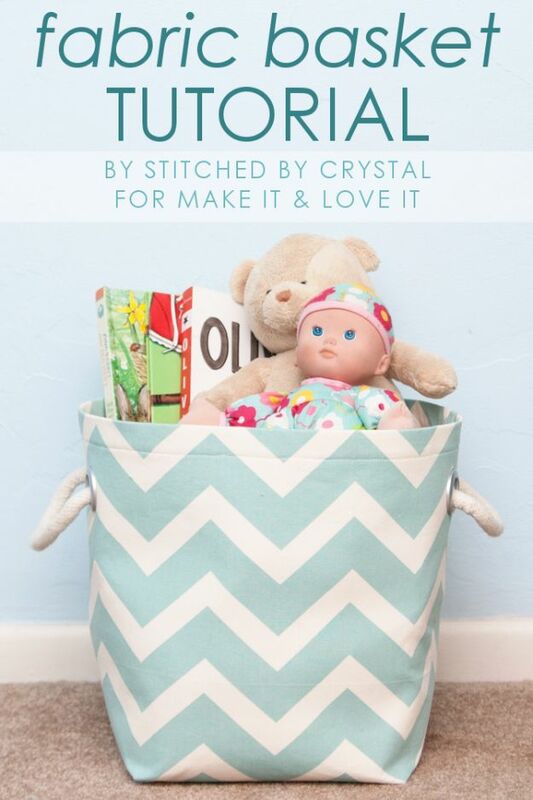 This is adorable, practical, and a great tutorial! 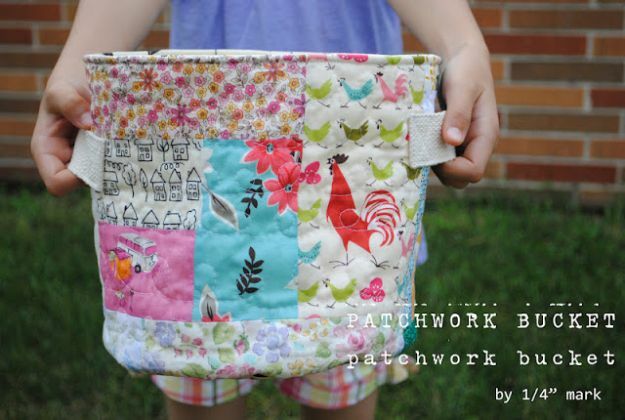 And would really look great in a nursery or the playroom. 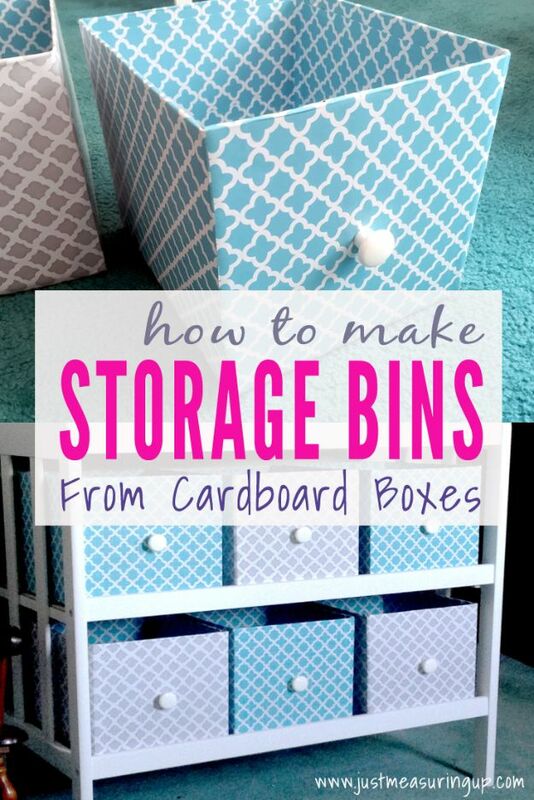 I love the fact that the bins are completely collapsible. Ain’t that super fab?